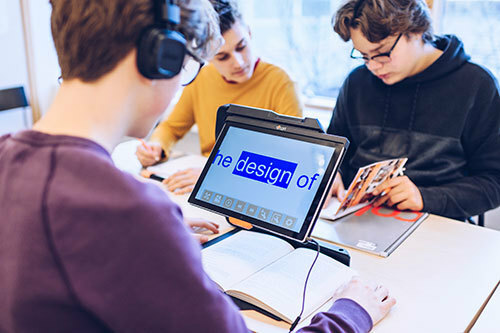 The tablet solution that gives endless possibilities! Collapsible and portable, but still a genuine reading camera. The small, simple reading machine – packed with smart features. The system that opens up opportunities for home, school and work. The ultimate reading camera for professional users. 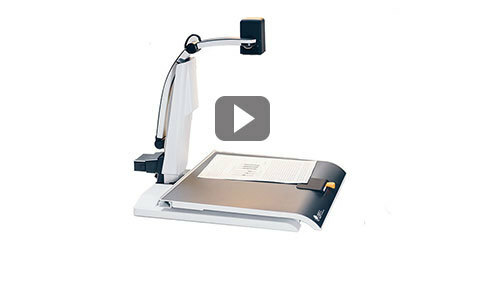 The video magnifier with focus om both quality and mobility. Visual aids for every need. 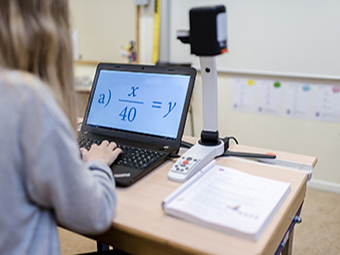 LVI Low Vision International strives to make every day easier for people with visual impairments! A brand new tablet solution is here - MagniLink TAB! You can now download ChromeViewer again! Coming soon - a brand new Tablet solution! you are being redirected to "Company". if you have items in the cart, they will be removed. do you want to continue? Consent* By completing and submitting this form you give your consent to the submitted data being stored and processed by LVI Low Vision International. This data is used so that we can provide you with relevant information regarding the product you have expressed interest in. This data will be stored for a maximum of 14 months. I have read and understood the information provided and give my consent to the processing and storage of my personal data. If you would like us to erase your personal data at an earlier date than that stated above, please don’t hesitate to contact us.